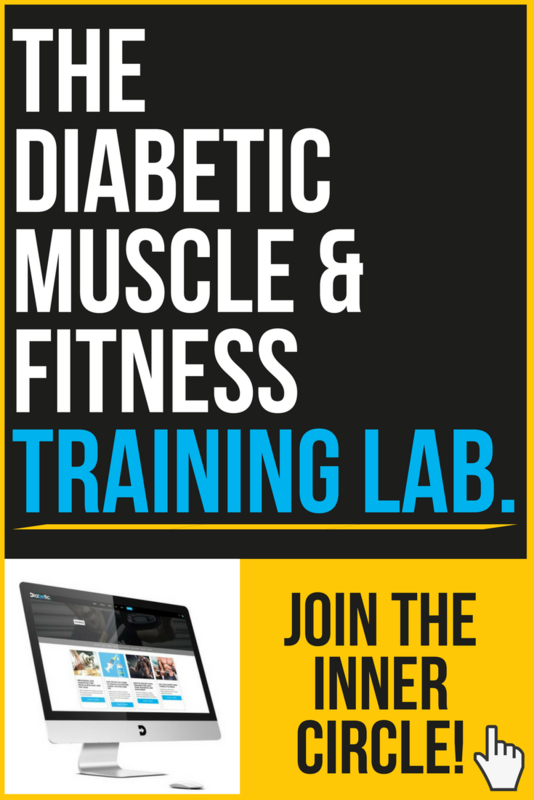 Diabetic Muscle & Fitness > Articles > CAN DIABETICS TAKE FAT BURNERS AND WEIGHT LOSS PILLS? If I asked 10 people living with diabetes to choose between the goal of being leaner or bigger, which do you think would be the most popular answer? 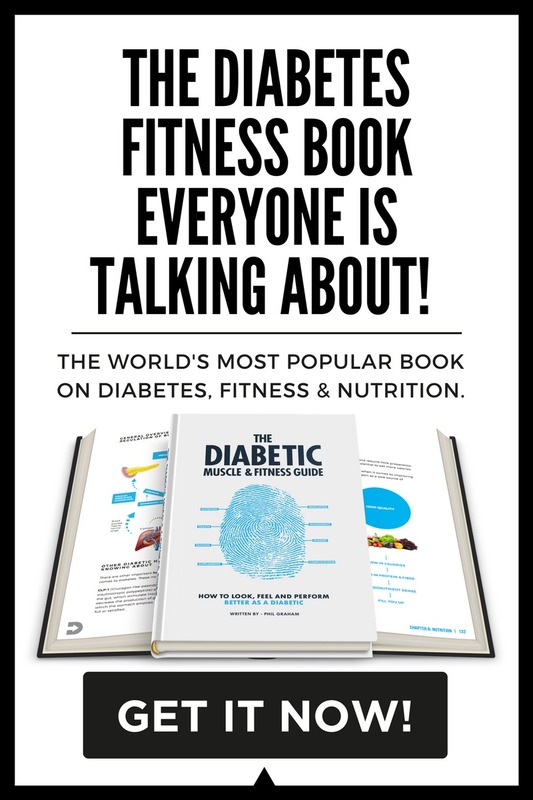 Based on my experience coaching 100s of people with diabetes I’m going to confidently speculate that 8/10 people want to get lean and have more visible muscle definition. Do strong abs, great shaped glutes (for the ladies) and well-shaped pecs and arms (for the guys) sound appealing? Which is interesting, because out of the two goals, is getting leaner harder than gaining weight and putting on size? You have to train hard, do plenty of cardio and deal with daily cravings for delicious food like pizza, chocolate and other great tasting desserts. Whereas, when it comes to putting on muscle mass and getting bigger (which I appreciate isn’t everyone’s goal) – it’s a little easier, as there is way less cravings and lack of energy. If your goal is to get leaner, would it be fair for me to say that you want to get results as fast as possible? We all want results tomorrow and we all want a crutch or, some secret pill to help us lose fat faster. And a whole corner of the supplement store is dedicated to products – “fat burners” – promising to help you do just that. Let’s have a look at the research and look at the practical use of fat burners in people living with diabetes. Let’s be clear at the start: “fat burner” is really an industry term, used to describe nutritional supplements that claim to help you reduce body fat levels at a faster rate. From a physiological standpoint, what this means is actually a few different processes. You see, the “burning” of fat requires we break it down from storage, release it to make it available for use, and then in fact use it for energy. The term “fat burner” refers to any compound that can enhance any of these processes, either enhancing the breakdown of fat, increasing the rate at which it is oxidised [the technical term for “burned”], or increasing energy expenditure [often by increasing thermogenesis, or the generation of heat in the body] (1). Different compounds could do this directly, by acting on a fat cell to increase the release of stored fat, or indirectly, through increasing metabolic or hormonal activity leading to greater heat generation or fat utilisation (1). 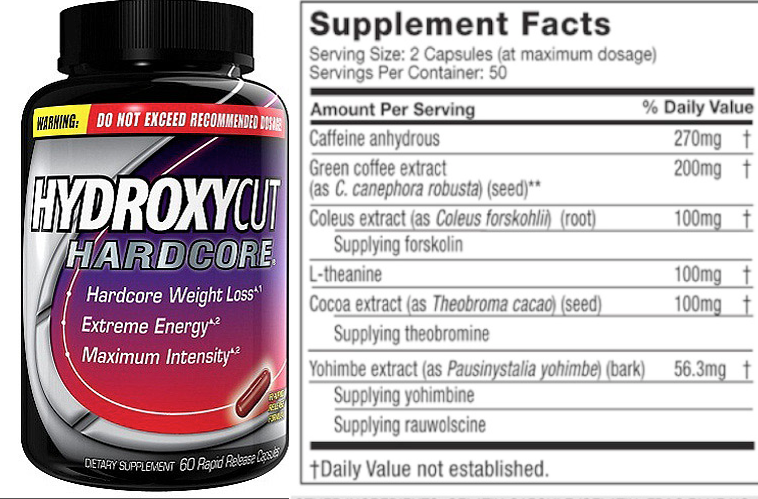 What you’ll see here is typical of most products in the industry as far as ingredients go: caffeine, yohimbine, green coffee extract, and forskolin. Other common compounds in many other products include green tea catechins, in particular EGCG, and bitter orange extract. What we’re really looking at here is a stimulant. A lot of stimulation at that. So, before you take the plunge and turn yourself into a jittery, anxious mess, shouldn’t we take a pause and ask: are these products even worth it? And what kind of impact could they have on diabetic control? As the main fat burning compounds in use, this article is going to keep the focus on caffeine, EGCG, yohimbine, bitter orange, green coffee extract, and forskolin. Scheduled compounds, like clenbuterol or ephedrine, will also be discussed. Let’s start with the compounds with the most research, and the best available evidence overall: caffeine and green tea catechins. ‘Catechins’, which are polyphenolic compounds [a type of non-nutritive compound with biological activity] found in green tea, are interesting because their effect on fat loss depends on both interactions with caffeine, the type of catechin, the dose used, and also the type of exercise (2). The first thing to separate out is the type. Most of the research shows that the most potent green tea catechin is epigallocatechin-3-gallate, or EGCG, and lower doses of EGCG have been shown to increase fat burning than total green tea catechins (3; 4). In fact, the total EGCG content within an overall dose of green tea catechins is what you want to look out for. For example, one study comparing 600mg of EGCG used divided doses of 100mg throughout the day, and the increase in fat burning observed was only not significant (2). In another study, 270mg EGCG given in a single dose to elite male cyclists tested at 60% of their VO2max failed to increase fat oxidation (5). On the other hand, giving 890mg total decaffeinated green tea catechins containing 366mg EGCG increased fat oxidation by 17% over a 30min test period at 60% VO2Max in untrained males (3). In another study in untrained men, 571mg decaff green tea catechins, of which 400mg EGCG, increased fat oxidation by 25% from baseline during weekly cycling at 50% VO2max (4). There are two points to bear in mind from the above studies. The first is mentioning the training status of the subjects. Basically, the increases in fat burning noted in these studies could reflect an adaptation to aerobic training (4; 6). They got fitter, and better at burning fat. The other point to note is that studies often used decaff green tea extracts. Now why might this be important? Because it appears that the beneficial effects of EGCG are specifically related to its interactions with caffeine. While green tea naturally contains caffeine, it is nowhere near the doses seen with coffee or energy drinks. In fact, a high habitual caffeine intake negates the effectiveness of green tea catechins and/or EGCG even at various doses of EGCG (7). For example, combining doses of 270mg, 600mg, 900mg, and 1,200mg EGCG together with 600mg caffeine resulted in no effect on fat oxidation (8). However, some caffeine appears to be beneficial – perhaps reflecting the interactions of the compounds in green tea – as the combination of green tea catechins and lower caffeine levels increases fat burning by 4% more than caffeine alone (9). Overall, the research shows that for green tea catechins/EGCG to be effective, an inverse relationship with caffeine is preferable, where the dose of green tea catechins/EGCG should exceed caffeine, and daily caffeine intake should remain around 300mg or lower. We’ll come back to this point later as to why this is important for diabetic management. You could go drowning yourself in green tea every day, to the tune of up to 8 cups, to get the desired dose: supplementing is likely an easier route. Caffeine is probably one of the most researched compounds around, and is the most widely used psychoactive drug in the world – we really love coffee. Caffeine has repeatedly been shown in research to increase sympathetic nervous system activity, boost resting metabolic rate, increase adrenaline output, and increase fat mobilisation (1; 10). However, note two things about those effects of caffeine. First, they primarily relate to enhanced physical performance, particularly central nervous system drive and adrenaline output. Secondly, and more importantly, caffeine promotes fat mobilisation, but not necessarily oxidation. In fact, the distinct performance enhancing and fat mobilising effects of caffeine have never been concretely linked to increased fat burning (10). For example, a study using doses of 100mg, 200mg or 400mg caffeine found an increase in metabolic rate and in fat breakdown, but measurements of energy expenditure in the subjects showed that the increase in energy burning came from equal oxidation of carbohydrate and fat (41). Other studies using very high doses of caffeine – 6mg per kilo bodyweight – also failed to find any increase in fat oxidation during cycle tests for 45-60min at 70% VO2max (10; 11). One issue with caffeine in studies may be the timing of intake. For example, in the latter two studies caffeine was given 60-90mins before testing (10; 11). However, another study divided that dose into 3mg/kg 90min prior to testing, followed by another 3mg/kg 30mins after, and found fat oxidation remained elevated both during exercise and up to 2-hours post-training (12). Another variable you may have noticed thus far is the use of a set VO2max in studies. Why could this be an issue? Well, if a specific percentage of VO2max is used, it may not in fact be a uniform intensity for the intervention group due to differences in fitness levels – different subjects may have different thresholds for exercise intensity (13). Using lactate threshold to define intensity may be more effective, as this is the threshold where aerobic energy systems relying in fat metabolism are operating at their max capacity, and beyond that we shift into anaerobic metabolism and carbohydrate oxidation (13). In a study using 6mg/kg caffeine before 60mins cycling at the lactate threshold, measures of energy expenditure indicated a significant increase in fat oxidation (13). Ultimately, caffeine is not the fat burner many think it is, and requires higher doses to achieve an effect: the issue is tolerance may negate performance benefits, and more is not better when it comes to caffeine and fat burning. It appears that caffeine is best used at higher doses, and during submaximal aerobic intensities. However, there are implications for blood sugar management with caffeine, which we’ll consider below. There are also implications for tolerance, and increasing dosage does not overcome tolerance to caffeine. Yohimbine is similar to caffeine in that it is a plant alkaloid, occurring naturally in a particular species of tree. It’s also similar in that it can increase levels of adrenaline in the body, however, a word of caution here: if you’re a caffeine-sensitive type, and get the jitters easy with coffee, yohimbine will have you crawling up the walls. Yohimbine is a compound that acts both directly and indirectly to influence fat oxidation. In its direct effects, yohimbine acts on receptors on fat cells that normally act to suppress fat oxidation and inactivates those receptors (14). In doing so, it allows fat to continue to be oxidised without suppressing those mechanisms. It also has an indirect effect, similar to caffeine, through increasing adrenaline levels, and adrenaline itself stimulates fat mobilisation and oxidation (15). Yohimbine is popular because the fat cells that it acts on both directly and indirectly through adrenaline are particularly concentrated in the thigh are in women and belly in men, i.e., “stubborn” body fat, and there is research supporting its fat burning effects in women (16), healthy men (17), and athletes (18). However, a word of caution: yohimbine is highly, highly stimulatory. It’s also noted to have significant side effects – elevated heart rate in particular – and if you’re in any way an anxiety-type, then steer clear. Another issue is that there appears to be significant issues around labelling accuracy on supplements, and wide variability in the precise dose contained in a given product (19). All in all, while effective, yohimbine simply comes with too much baggage. Bitter oranges contain a compound known as p-synephrine, which can increase metabolic rate in humans (20). It is important to note at this point that bitter oranges are not your average tangerine or satsuma in the shop, and are a rare enough form of citrus fruit with historical use in traditional Chinese medicine (21). One of the interesting things about p-synephrine is that it increases metabolic rate independent of variables like diet and exercise. For example, one study using a single 50mg dose of p-synephrine found an increase resting metabolic rate by 65kcal over 75min post-ingestion (20). In terms of underlying mechanisms, p-synephrine is in fact similar to ephedrine, only milder (and legal). It increases adrenaline and dopamine system activity, thereby increasing fat breakdown and metabolic rate (21). It is also synergistic with caffeine, and of interest to the strength and performance-oriented athletes amongst you, p-synephrine and caffeine have been shown to increase power output in the squat (22). Studies using doses of 49-100mg p-synephrine have found increased energy expenditure, fat mobilisation and fat oxidation, with no adverse effects (23). Indeed, the longest study in p-synephrine supplementation to date using 49mg doses for 60-days found no adverse effects across cardiovascular, liver, kidney and blood analyses (24). The human research is thus far overall positive. One trial supplementing 51.5mg p-synephrine twice daily before meals found a reduction in appetite and improved eating control, in addition to increased energy expenditure (20; 24). With a wide safety margin, p-synephrine is generally considered safe and effective at the doses commonly used (25). Forskolin at this point remains a very intriguing research compound, but hard to say much more. For the physique-enthusiasts amongst us, we should cross our collective fingers in the hopes of further research into this promising supplement. Derived from the herb Coleus forskohlii and with traditional use in Ayurvedic medicine, the primary mechanism of action of forskolin is to increase levels of a molecule in our cells called cyclic adenosine monophosphate [cAMP], which is important in regulating energy metabolism (26). Mechanistically, high levels of forskolin can increase the breakdown of fat from storage, however, the doses used to show this effect have not been replicated in humans (27). The human research is relatively limited to date. A study in overweight women supplemented with a 10% forskolin extract (250mg twice daily) noted a protective effect against weight gain, with insignificant weight loss (28). An interesting randomised, double-blind and placebo controlled trial in overweight and obese men supplemented with 250mg (10% forskolin) twice daily for 12-weeks found a significant increase in lean body mass, reduction in fat mass, and increase in bone mass: all these results were confirmed by DEXA scans (29). There was also an increase in testosterone noted, which could explain the results but despite this being an RCT, and despite the quite profound results, we’re still waiting on this research to be replicated. So, there’s a few caveats to the research to date. First, overweight and obese persons have lower levels of cAMP, and thus the effects of forskolin supplementation may be more pronounced in these populations (30). Secondly, the effects of increased testosterone may underscore the fat burning effect, as distinct from any direct fat burning effect of forskolin itself, an observation somewhat supported by the difference in the study in women [no significant effect] compared to the study in men [significant effect]. Fascinating compound. More research needed. And it may have caution in diabetics, for reasons explained below. Green coffee extract is extracted from unroasted green coffee beans, as the compounds are largely lost in the process of roasting coffee beans (31). Green coffee extract is touted as a fat burning compound but we can be relatively brief with this: the evidence is weak. A recent meta-analysis confirmed this (31). While there was an overall weight loss effect noted, the trials did not specify dosage used, and had significant methodological limitations which cast doubt on the results (31). Two authors of one study were also affiliated with a company selling a GCE weight loss product (31). Aside from the methodological limitations of the studies on GCE to date, the results themselves are of questioning clinical relevance (31). Despite this being a common feature of many marketed “fat burner” supplements, all it’s going to give you is expensive urine. Ephedrine is a plant alkaloid derived from the Chinese herb, Ma Huang, and is about as potent a fat burning compound as you could find: the trade-off is you might have a heart attack. Ephedrine acts by both directly stimulating the production of heat in muscle cells, and by stimulating the breakdown of stored fat (42). Ephedrine also boosts metabolic rate, an effect which is seen without exercise, in contrast to caffeine which is effective at mobilising stored fat but requires exercise to burn that released fat (42). Combined together, ephedrine and caffeine show distinct fat burning synergy, due to the effect that the class of compound which caffeine is, a methylxanthine, boosts the ability of ephedrine to increase metabolic rate (43). The stack of ephedrine and caffeine, combined with aspirin, and known as ‘ECA’, is an effective fat burning compound due to the combination of ephedrine and caffeine, although there is evidence that aspirin enhanced the thermogenic response to feeding in obese subjects, but this effect was not found in lean persons (44). There have been significant concerns, however, raised over the use of ephedrine and ECA: ephedrine and the combination of ephedrine with caffeine have been associated with increased risk for nausea, vomiting, anxiety, heart palpitations, and adverse cardio and cerebrovascular events (45). So, is it worth it? Like most things, the dose makes the poison: the combination of 20mg ephedrine with 200mg caffeine taken three times per day has been shown to be well tolerated and safe up to 6-months use (46; 47). The issue for diabetics isn’t the tolerability, it’s the fact that ephedrine increases insulin and blood glucose levels (42). So there are two caveats: one is that it’s illegal in many jurisdictions now, the other is the effect on blood glucose and insulin. So, yes it can be safe, and it is certainly effective, but may place an added burden on diabetes management. ‘Clen’ is possibly one of the most popular fat burning compounds in the physique community for one reason: it works like little else. Clenbuterol is a synthetic drug that is currently illegal in most developed countries, but that hasn’t prevented its popular use. Clenbuterol leads to significant improvements in body composition not solely attributable to fat burning, but also to lean mass increases (48). In the context of an energy deficit that is a pre-requisite for fat loss, clen preserves lean mass while significantly increasing fat burning (49). Potent fat burning compound, with the same caveats applying regarding legal status. If using, use wisely: there are plenty of ways to burn fat outside of prison. 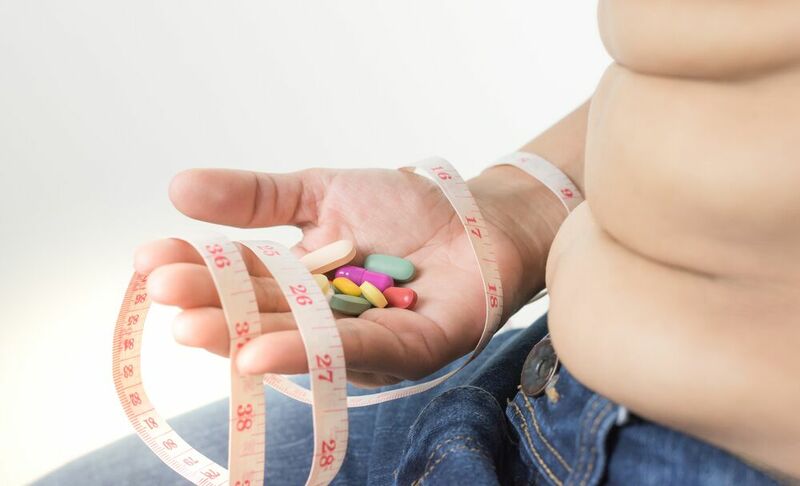 Can Diabetics Take Fat Burners? Ok, so some compounds can be effective – like EGCG and caffeine – and some are a waste of money – like green coffee extract. For those that may be effective, we need to consider the potential interactions of these compounds with diabetes management. Let’s start with the obvious one: caffeine. Caffeine distinctly does increase blood glucose levels, through a combination of transiently reducing insulin sensitivity and prevent glucose disposal into muscle cells by 24% (32). The main effect of caffeine is interfering with insulin action on glucose disposal, not impacting on insulin secretion itself which is unaffected by caffeine intake (33). Timing caffeine use away from meals would be a good idea to avoid any interaction with post-prandial glucose metabolism. Consider ephedrine here too: it has dose-dependent increases in insulin and blood glucose, so more is definitely not better, and caution is required when considering its use. For caffeine, we are talking about caffeine and not coffee as a food supplement. Coffee intake is strongly associated with reduced risk of Type-2 diabetes, an effect which is more attributable to other compounds in coffee as the protective effect is also observed with decaff (34). Thus, while coffee intake is itself a beneficial food product, it remains inadvisable from a blood sugar management perspective to supplement with isolated caffeine, which will increase blood glucose as a result of impaired glucose disposal (32; 33). Green tea catechins may in fact benefit diabetics, although it should be noted that the research is in Type-II. A study in Type-II diabetics found 500mg of decaff green tea extract, of which 285mg EGCG, taken 3 times per day resulted in significant improvements in insulin sensitivity [measured via HOMA-IR], reduced insulin concentrations, and reductions in triglycerides over 16-weeks (35). The effect on improved insulin sensitivity is not always observed in Type-II diabetics (36). However, green tea catechins may improve blood glucose regulation. Green tea catechins have been shown to improve post-meal glycaemic control in pre-diabetics by inhibiting glucose uptake, without impacting on insulin secretion (37). Brewed green tea may also increase glucose disposal and nutrient partitioning in monocytes over adipocytes, although this has yet to be demonstrated in humans (38). Overall, supplementation with green tea catechins appears to be potentially favourable to diabetes management, without negatively impacting insulin secretion or action. What about forskolin? There simply is no human evidence, but studies in cell cultures have shown that forskolin stimulates insulin release from pancreatic cells (39). In this context, and without any human research, the advice here would be to err on the side of caution and opt against supplementation with forskolin: we just don’t know what impact it could have on insulin and diabetic control. A similar position can be taken with yohimbine: rat studies suggest it can increase insulin levels in diabetic rats (40). This was in fact considered a positive, as insulin secretion is suppressed by mechanisms which are inhibited by yohimbine, thus supplementation was normalising insulin function in diabetic rats (40). Again, we have no human data on the potential interaction, and given the side-effects of yohimbine outweigh the efficacy, from a diabetic management perspective it is best to scratch this off the list. P-synephrine, on the other hand, does not appear to negatively impact on blood glucose management or insulin function. A safety study looking at the effects of 49mg p-synephrine twice daily found no adverse effects after 60-days on blood chemistry, including blood glucose, albeit this was in non-diabetic subjects. P-synephrine is considered to have a wide safety margin, and the lack of any observed effect on blood glucose taken with its observed increase in metabolic rate, suggest that this could be supplemented safely in diabetics. Clenbuterol may have an interaction with insulin, insofar as elevated insulin may suppress activity of the drug: this is highly mechanistic and likely means clen should be taken away from meals. Ok, so we’ve established what works, what doesn’t, and what is safe for use in in the context of diabetic management. Let’s put this together into some action points. Green tea catechins/EGCG and diabetes: Recall that the effectiveness of green tea is dependent on lower caffeine levels. This works nicely for a diabetic looking to enhance fat oxidation, as taking on supplemental caffeine is contraindicated for blood sugar management. So, as a diabetic looking for a fat burning boost, your best bet is to keep caffeine low and opt for more green tea. Your dose: 500mg EGCG per day, with lower caffeine intake. A cup of coffee a day won’t hurt, but don’t be a habitual high-caffeine consumer or you’ll impair the effects of green tea on fat oxidation. P-synephrine & diabetes: The increase in metabolic rate, fat mobilisation and oxidation, in the context of its established safety and lack of impact on blood glucose make this an attractive supplement. Your dose: 49-100mg per day, ideally in divided doses separated 6-hours apart. Caffeine, yohimbine, forskolin, green coffee extract and diabetes: Between the negative effects on blood glucose management of isolated caffeine, to the increased blood pressure and anxiety side effects of yohimbine, to the lack of evidence for interactions with forskolin, and lack of evidence overall for GCE, don’t waste your time with these options. Clenbuterol, ephedra-caffiene-asprin (ECA Stack) and diabetes: You’re an adult, you can do as you like but I didn’t tell you one way or the other! Also, final point to bear in mind: the greatest “fat burner” we know of is a calorie deficit in conjunction with a higher protein diet. Your final consideration is this: diet always comes first to any body composition goal. How can people living with diabetics control their blood sugar levels when taking over the counter fat burners? We asked John Pemberton, Head Coach at Diabetic Muscle and Fitness, for his thoughts on fat burners. 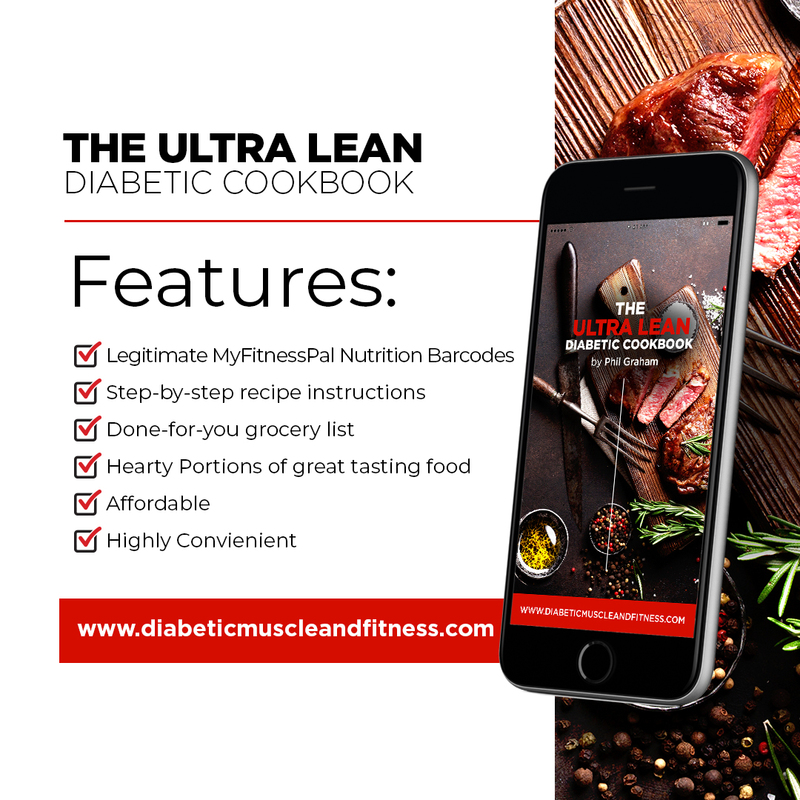 He gave us options for how to adjust diabetes regimens to manage blood glucose levels when taking fat burners, from his ten years of clinical and coaching experience. Here are his pearls of wisdom. The safety and efficacy of the different fat burners have been laid out nicely in this article, and I agree with the conclusions. This was a great read. I have detailed below some considerations on how to manage blood glucose. Green tea catechins/EGCG with diabetes: EGCG should have very little impact on blood glucose levels, because it does not significantly increase stress hormones (Catecholamine’s & Cortisol). From my coaching, personal and clinical experience, no therapy adjustments are needed, but you always have to monitor and assess, we are all individuals. a. On a side note, EGCG is strong polyphenol that has been shown to activate the expression of your “Lean Genes”. By increasing Sirtuin Enzymes in the cells. I have written a comprehensive guide on how to “Activate your Lean Genes” in the Training Lab that covers this in great depth. This moves the conversation past fat burning, into discovering the wide range of benefits Polyphenols have for long-term health and getting a great looking body. P-synephrine with diabetes: Technically you would expect this to raise blood glucose, because it activates the adrenergic receptors, which increase adrenaline, and should therefore lead to the liver pushing lots of glucose into the blood stream. However, the activation of the adrenergic receptors from P-Synephrine is weak, so the glucose impact is usually not an issue. Also, because the half-life is only 2 hours, the impact is very brief. a. If you find it increases your glucose level, a small dose of quick acting insulin upon taking P-synephrine will prevent a glucose spike. But like I said, you are unlikely to need this. Monitor first and adapt if needed. Caffeine with diabetes: The drug of choice slurped down every morning by most people. Especially fitness enthusiasts who use it as a “performance enhancer” or “Fat burner”. At doses needed for a “performance” or “fat burning” effect (2-3mg/kg or 1-1.5mg/lb) it is unlikely to increase glucose levels. However, at does above this (5-6mg/kg or 2.5-3mg/lb), you are likely to get a glucose spike from insulin resistance and increase liver output of glucose, which can last 4-6 hours. On a practical note, don’t take a high dosage past 2pm, otherwise you will disrupt your sleep and recovery. How would you manage a high caffeine dose? a. If you are doing aerobic exercise such as running, it’s likely your glucose level will stay stable rather than drop. Some use this as hypo prevention strategy. c. In the Training Lab, I have developed a guide on how to manage different types of exercise with Diabetes. This covers how to calculate how much insulin to give before anaerobic exercise. Yohimbine with diabetes: Very similar to caffeine, except the exact dosages are a little hit and miss as it’s a plant alkaloid. The potency of the supplement will vary according to manufacturing processes. So, it’s going to be a bit of trial and error, just like everything else with diabetes! Ephedrine & ECA stack with diabetes: This will 100% increase your blood glucose. Unlike P-synephrine, ephedrine is a potent activator of the adrenergic receptors. It will spike adrenaline, which will spike liver output of glucose. Ephedrine has a half-life of 6 hours, so you can expect high glucose level for a long period. From my clinical and coaching experience you will need more insulin, a lot more, for a long period. Here are some options to consider, but always check with you medical team and monitor aggressively. a. If on an insulin pump increase the basal rate to 150% for 6-8 hours. b. If on split background insulin (NPH, Levimer), increase the morning dose by 25-50%. c. Increase insulin doses for meals by 25-50%. d. Correction doses every 2-3 hours. Clenbuterol with diabetes: Works in a similar way ephedrine, but not as potent. It does however have a half-life of 26 hours! So if it causes your glucose level to rise, you will be on the celling for a long-time. From my experience, the most effective way to manage this is to increase the background insulin. Here are are some options to consider, but always check with you medical team and monitor aggressively. b. Increase background insulin doses by 20-30%. One final note from me. 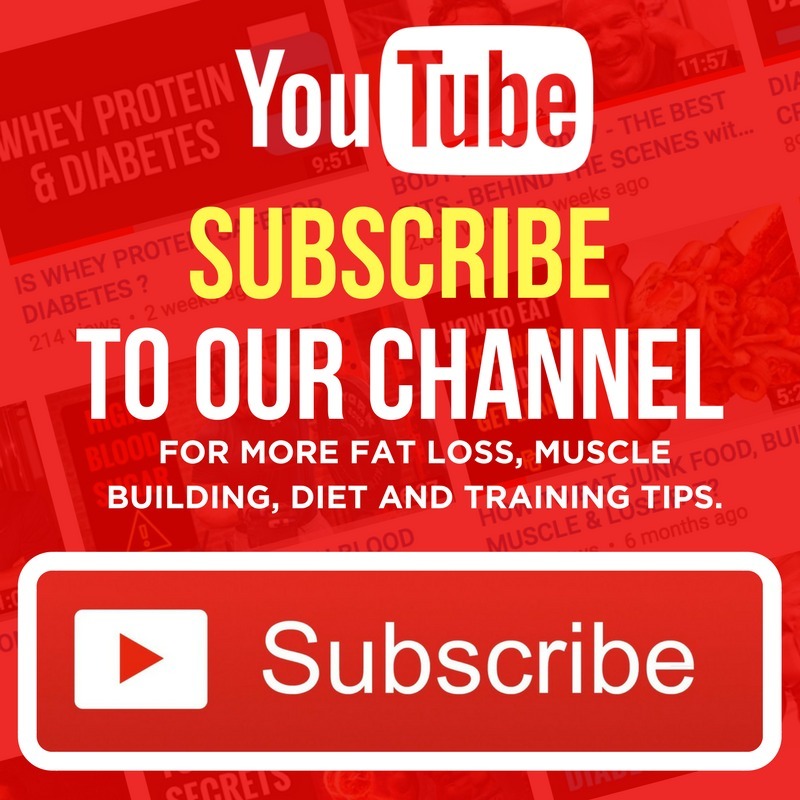 You caloric intake according to your fat loss goals. You have 7-8 hours quality sleep per night. You diet is full of real foods and you’re having 1.8–2.2g/kg protein (0.7 – 1.0g/lb) spread over at least 4 meals. You are resistance training at least three times a week. You are walking 10,000 steps per day. You are accountable to someone for hitting all of these goals. If you have not got the above on point, you are barking up the wrong tree. Get the basics in place and you will see it’s actually easy to shred body fat. You would be better advised to spend your money on a high quality coaching program or selection of calorie controlled meals plans that will give you a clear plan of action and keep you accountable by looking after all the essentials! 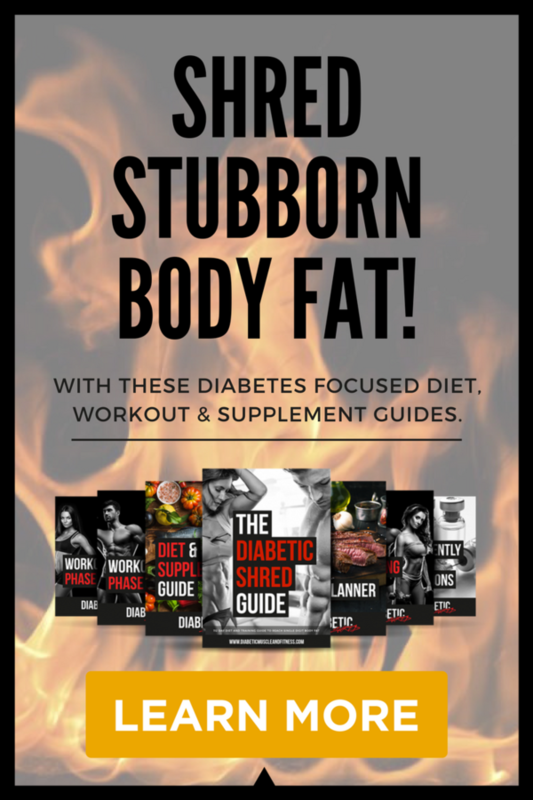 That’s why I created Diabetic Shred – a 112-day fat loss system for men and women living with diabetes. 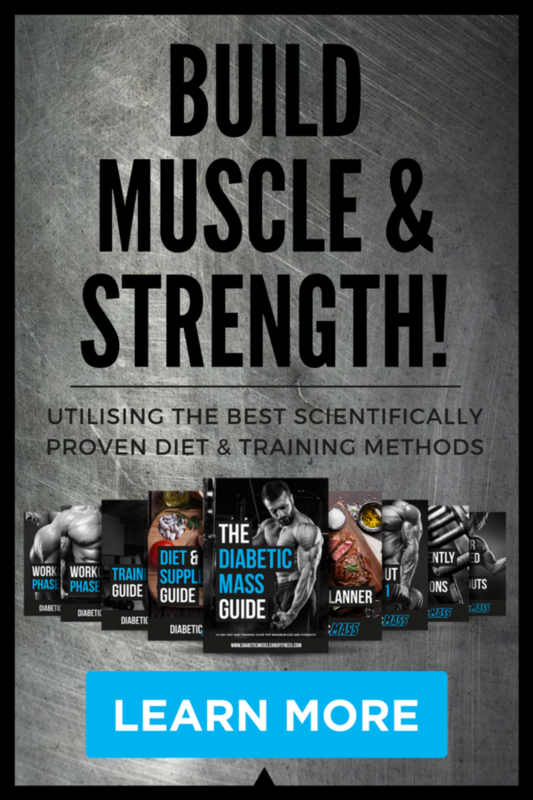 It contains everything you need to know about eating, training and living to get lean. You get weekly meal plans tailored to your metabolism and over 50 challenging workouts. Jeukendrup, A. and Randell, R. (2011). Fat burners: nutrition supplements that increase fat metabolism. Obesity Reviews, 12(10), pp.841-851. Gregersen, N., Bitz, C., Krog-Mikkelsen, I., Hels, O., Kovacs, E., Rycroft, J., Frandsen, E., Mela, D. and Astrup, A. (2009). Effect of moderate intakes of different tea catechins and caffeine on acute measures of energy metabolism under sedentary conditions. British Journal of Nutrition, 102(08), p.1187. Venebles, M., Hulston, C., Cox, H. and Jeukendrup, A. (2008). Green tea extract ingestion, fat oxidation, and glucose tolerance in healthy humans1,2. Am J Clin Nutr, 87(3), pp.778-784. Roberts, J., Roberts, M., Tarpey, M., Weekes, J. and Thomas, C. (2015). The effect of a decaffeinated green tea extract formula on fat oxidation, body composition and exercise performance. J Int Soc Sports Nutr, 12(1), p.1. Dean, S., Braakhuis, A. and Paton, C. (2009). The effects of EGCG on fat oxidation and endurance performance in male cyclists. Int J Sport Nutr Exerc Metab, Dec;19(6), pp.624-44. Ichinose, T., Nomura, S., Someya, Y., Akimoto, S., Tachiyashiki, K. and Imaizumi, K. (2010). Effect of endurance training supplemented with green tea extract on substrate metabolism during exercise in humans. Scandinavian Journal of Medicine & Science in Sports, 21(4), pp.598-605. Hursel, R., Viechtbauer, W. and Westerterp-Plantenga, M. (2009). Effects of green tea on weight loss and weight maintenance. A meta-analysis. Appetite, 52(3), p.838. Bérubé-Parent, S., Pelletier, C., Doré, J. and Tremblay, A. (2005). Effects of encapsulated green tea and Guarana extracts containing a mixture of epigallocatechin-3-gallate and caffeine on 24 h energy expenditure and fat oxidation in men. BJN, 94(03), p.432. Hursel, R., Viechtbauer, W., Dulloo, A., Tremblay, A., Tappy, L., Rumpler, W. and Westerterp-Plantenga, M. (2011). The effects of catechin rich teas and caffeine on energy expenditure and fat oxidation: a meta-analysis. Obesity Reviews, 12(7), pp.e573-e581. Graham, T., Helge, J., MacLean, D., Kiens, B. and Richter, E. (2000). Caffeine ingestion does not alter carbohydrate or fat metabolism in human skeletal muscle during exercise. The Journal of Physiology, 529(3), pp.837-847. Greer, F., Friars, D. and Graham, T. (2000). Comparison of caffeine and theophylline ingestion: exercise metabolism and endurance. Journal of Applied Physiology, 89(5), pp.1837-44. Schubert, M., Hall, S., Leveritt, M., Grant, G., Sabapathy, S. and Desbrow, B. (2014). Caffeine consumption around an exercise bout: effects on energy expenditure, energy intake, and exercise enjoyment. Journal of Applied Physiology, 117(7), pp.745-754. Cruz, R., de Aguiar, R., Turnes, T., Guglielmo, L., Beneke, R. and Caputo, F. (2015). Caffeine Affects Time to Exhaustion and Substrate Oxidation during Cycling at Maximal Lactate Steady State. Nutrients, 7(7), pp.5254-5264. Lafontan, M., Berlan, M., Galitzky, J. and Montastruc, J. (1992). Alpha-2 adrenoceptors in lipolysis: α2 antagonists and lipid-mobilizing strategies. The American Journal of Clinical Nutrition, 55(1), pp.219S-227S. Reiner, S., Ambrosio, M., Hoffmann, C. and Lohse, M. (2010). Differential Signaling of the Endogenous Agonists at the β2-Adrenergic Receptor. Journal of Biological Chemistry, 285(46), pp.36188-36198. Pedersen, S., Kristensen, K., Hermann, P., Katzenellenbogen, J. and Richelsen, B. (2004). Estrogen Controls Lipolysis by Up-Regulating α2A-Adrenergic Receptors Directly in Human Adipose Tissue through the Estrogen Receptor α. Implications for the Female Fat Distribution. The Journal of Clinical Endocrinology & Metabolism, 89(4), pp.1869-1878. Galitzky, J., Taouis, M., Berlan, M., Riviere, D., Garrigues, M. and Lafontan, M. (1988). α2-Antagonist compounds and lipid mobilization: evidence for a lipid mobilizing effect of oral yohimbine in healthy male volunteers. European Journal of Clinical Investigation, 18(6), pp.587-594. Ostojic, S. (2006). Yohimbine: The Effects on Body Composition and Exercise Performance in Soccer Players. Research in Sports Medicine, 14(4), pp.289-299. Cohen, P., Wang, Y., Maller, G., DeSouza, R. and Khan, I. (2015). Pharmaceutical quantities of yohimbine found in dietary supplements in the USA. Drug Testing and Analysis, 8(3-4), pp.357-369. Stohs, S., Preuss, H., Keith, S., Keith, P., Miller, H. and Kaats, G. (2011). Effects of p-Synephrine alone and in Combination with Selected Bioflavonoids on Resting Metabolism, Blood Pressure, Heart Rate and Self-Reported Mood Changes. International Journal of Medical Sciences, 8(4), pp.295-301. Haaz, S., Fontaine, K., Cutter, G., Limdi, N., Perumean-Chaney, S. and Allison, D. (2006). Citrus aurantium and synephrine alkaloids in the treatment of overweight and obesity: an update. Obesity Reviews, 7(1), pp.79-88. Ratamess, N., Bush, J., Kang, J., Kraemer, W., Stohs, S., Nocera, V., Leise, M., Diamond, K. and Faigenbaum, A. (2015). The effects of supplementation with P-Synephrine alone and in combination with caffeine on resistance exercise performance. Journal of the International Society of Sports Nutrition, 12(1). Ratamess, N., Bush, J., Kang, J., Kraemer, W., Stohs, S., Nocera, V., Leise, M., Diamond, K., Campbell, S., Miller, H. and Faigenbaum, A. (2016). The Effects of Supplementation with p-Synephrine Alone and in Combination with Caffeine on Metabolic, Lipolytic, and Cardiovascular Responses during Resistance Exercise. Journal of the American College of Nutrition, 35(8), pp.657-669. Kaats, G., Miller, H., Preuss, H. and Stohs, S. (2013). A 60day double-blind, placebo-controlled safety study involving Citrus aurantium (bitter orange) extract. Food and Chemical Toxicology, 55, pp.358-362. Stohs, S. (2017). Safety, Efficacy, and Mechanistic Studies Regarding Citrus aurantium (Bitter Orange) Extract and p-Synephrine. Phytotherapy Research, 31(10), pp.1463-1474. Burns, T., Langley, P., Terry, B., Bylund, D. and Forte, L. (1987). Comparative effects of forskolin and isoproterenol on the cyclic AMP content of human adipocytes. Life Sciences, 40(2), pp.145-154. Litosch, I., Saito, Y. and Fain, J. (1982). Forskolin as an activator of cyclic AMP accumulation and secretion in blowfly salivary glands. Biochemical Journal, 204(1), pp.147-151. Henderson, S., Magu, B., Rasmussen, C., Lancaster, S., Kerksick, C., Smith, P., Melton, C., Cowan, P., Greenwood, M., Earnest, C., Almada, A., Milnor, P., Magrans, T., Bowden, R., Ounpraseuth, S., Thomas, A. and Kreider, R. (2005). Effects of Coleus Forskohlii Supplementation on Body Composition and Hematological Profiles in Mildly Overweight Women. Journal of the International Society of Sports Nutrition, 2(2), p.54. Godard, M., Johnson, B. and Richmond, S. (2005). Body Composition and Hormonal Adaptations Associated with Forskolin Consumption in Overweight and Obese Men. Obesity Research, 13(8), pp.1335-1343. Martin, L., Klim, C., Vannucci, S., Dixon, L., Landis, J. and LaNoue, K. (1990). Alterations in adipocyte adenylate cyclase activity in morbidly obese and formerly morbidly obese humans. Surgery, 108(2), pp.228-34. Greer, F., Hudson, R., Ross, R. and Graham, T. (2001). Caffeine Ingestion Decreases Glucose Disposal During a Hyperinsulinemic-Euglycemic Clamp in Sedentary Humans. Diabetes, 50(10), pp.2349-2354. Keijzers, G., De Galan, B., Tack, C. and Smits, P. (2002). Caffeine Can Decrease Insulin Sensitivity in Humans. Diabetes Care, 25(2), pp.364-369. van Dam, R. and Feskens, E. (2003). Coffee consumption and risk of type 2 diabetes mellitus. The Lancet, 361(9358), p.703. Liu, C., Huang, C., Huang, L., Chen, I., Chiu, J. and Hsu, C. (2014). Effects of Green Tea Extract on Insulin Resistance and Glucagon-Like Peptide 1 in Patients with Type 2 Diabetes and Lipid Abnormalities: A Randomized, Double-Blinded, and Placebo-Controlled Trial. PLoS ONE, 9(3), p.e91163. Hsu, C., Liao, Y., Lin, S., Tsai, T., Huang, C. and Chou, P. (2011). Does supplementation with green tea extract improve insulin resistance in obese type 2 diabetics? A randomized, double-blind, and placebo-controlled clinical trial. Altern Med Rev., 16(2), pp.157-63. Butacnum, A., Chongsuwat, R. and Bumrungpert, A. (2017). Black tea consumption improves postprandial glycemic control in normal and pre-diabetic subjects: a randomized, double-blind, placebo-controlled crossover study. Asia Pac J Clin Nutr, 26(1), pp.59-64. Ashida, H., Furuyashiki, T., Nagayasu, H., Bessho, H., Sakakibara, H., Hashimoto, T. and Kanazawa, K. (2004). Anti-obesity actions of green tea: Possible involvements in modulation of the glucose uptake system and suppression of the adipogenesis-related transcription factors. BioFactors, 22(1-4), pp.135-140. Hermansen, K. (1985). Forskolin, an Activator of Adenylate Cyclase, Stimulates Pancreatic Insulin, Glucagon, and Somatostatin Release in the Dog: Studies in Vitro*. Endocrinology, 116(6), pp.2251-2258. Sandberg, M., Pettersson, U., Henriksnäs, J. and Jansson, L. (2012). The α2-Adrenoceptor Antagonist Yohimbine Normalizes Increased Islet Blood Flow in GK Rats: A Model of Type 2 Diabetes. Hormone and Metabolic Research, 45(03), pp.252-254. Astrup, A., Toubro, S., Cannon, S., Hein, P. and Madsen, J. (1991). Thermogenic synergism between ephedrine and caffeine in healthy volunteers: A double-blind, placebo-controlled study. Metabolism, 40(3), pp.323-329. Astrup, A., Toubro, S., Christensen, N. and Quaade, F. (1992). Pharmacology of thermogenic drugs. The American Journal of Clinical Nutrition, 55(1), pp.246S-248S. Swan, P. (1996). THERMOGENIC RESPONSE TO EPHEDRINE+ CAFFEINE IN OBESE WOMEN WITH DIFFERENT PATTERNS OF REGIONAL ADIPOSITY 259. Medicine &amp Science in Sports &amp Exercise, 28(Supplement), p.44. Shekelle, P., Hardy, M. and Morton, S. (2003). Efficacy and safety of ephedra and ephedrine for weight loss and athletic performance. ACC Current Journal Review, 12(3), p.29. Molnár, D., Török, K., Erhardt, E. and Jeges, S. (2000). Safety and efficacy of treatment with an ephedrine/caffeine mixture. The first double-blind placebo-controlled pilot study in adolescents. International Journal of Obesity, 24(12), pp.1573-1578. Hallas, J., Bjerrum, L., Stovring, H. and Andersen, M. (2008). Use of a Prescribed Ephedrine/Caffeine Combination and the Risk of Serious Cardiovascular Events: A Registry-based Case-Crossover Study. American Journal of Epidemiology, 168(8), pp.966-973. Kamalakkannan, G., Petrilli, C., George, I., LaManca, J., McLaughlin, B., Shane, E., Mancini, D. and Maybaum, S. (2008). Clenbuterol Increases Lean Muscle Mass but Not Endurance in Patients With Chronic Heart Failure. The Journal of Heart and Lung Transplantation, 27(4), pp.457-461. Maltin, C., Delday, M., Watson, J., Heys, S., Nevison, I., Ritchie, I. and Gibson, P. (1993). Clenbuterol, aβ-Adrenoceptor Agonist, Increases Relative Muscle Strength in Orthopaedic Patients. Clinical Science, 84(6), pp.651-654. Kim, Y. and Sainz, R. (1992). β-adrenergic agonists and hypertrophy of skeletal muscles. Life Sciences, 50(6), pp.397-407. Zhang, J., Hupfeld, C., Taylor, S., Olefsky, J. and Tsien, R. (2005). Insulin disrupts β-adrenergic signalling to protein kinase A in adipocytes. Nature, 437(7058), pp.569-573.